I don't understand why those two are parallel and one is a series? Hi Agp2196, $R_1$ and $R_2$ can be recognized as in parallel since they have both ends connected by wires. The bottom ends are connected by a wire, and the top ends are also connected by a wire. 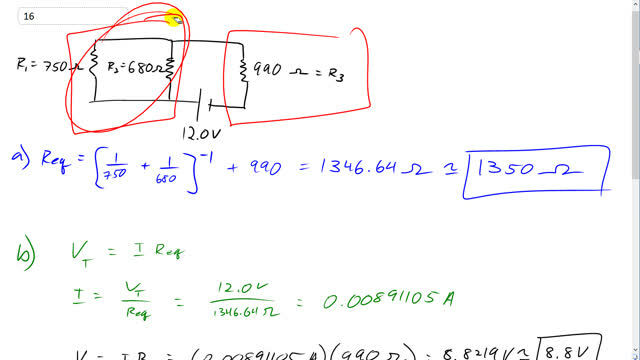 This means current at the bottom, coming from the positive end of the battery, has a choice of $R_1$ or $R_2$, and when you see current being given this choice, you know the resistors are in parallel. Resistor labelled $R_3$ is in series since there are no other options but to go through $R_3$ in order to continue through the circuit.